6 Tips and Tricks You Need To Know To Become a Star Gazing Pro! Stop what you are doing immediately. If you are indoors, on a computer just take a break and go outside, if you are on a mobile device enjoying the great outdoors simply look up. What do you see? Pristine sky, a gorgeous sunset, a mysteriously shaped cloud that looks vaguely similar to the Stay Puft Marshmallow Man (of Ghostbusters fame)? We digress—often, we take the awe-inspiring vastness of our sky and space for granted. In the grand scheme of things we are pretty small, so it’s easy to not think about the limitlessness of space and just how special our Solar System is. If you really want to know how small you are, check out the video above! 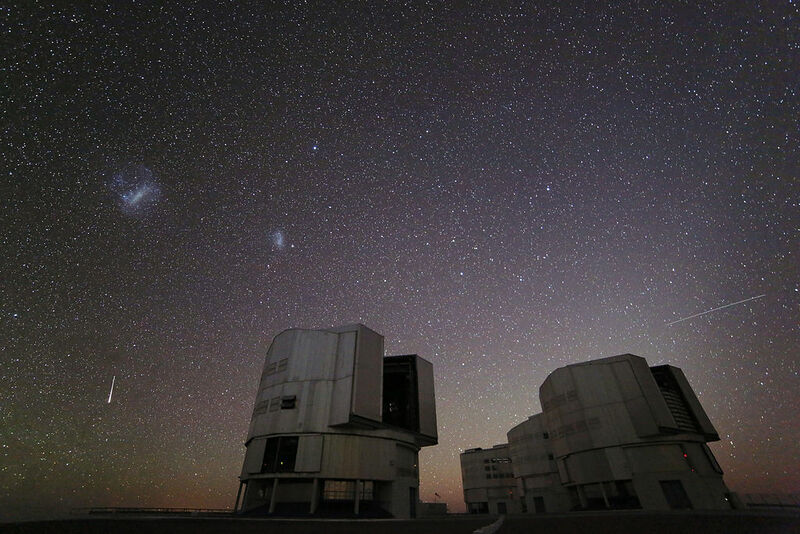 From a giant amber Harvest Moon to Halley’s Comet, our night sky holds dozens of beautiful displays of science and physics. One of the things most commonly appreciated by the public are meteor showers, so we asked Joe, Astronomy Department member, resident astrophysicist, and (now) guest blogger, to give us some tips and tricks on which meteor showers are best and how we can see them with the naked eye. Click below to read Joe’s Guest Blog. Who doesn’t like to make a wish on a shooting star? Knowing that the flash of light is a grain of comet dust burning up from friction as it zips through Earth’s upper atmosphere at 130,000 miles per hour only adds to the wonder of the spectacle. In a meteor shower, you can see dozens of meteors per hour instead of a handful on other nights of the year. Tip #2: Get away from city lights. 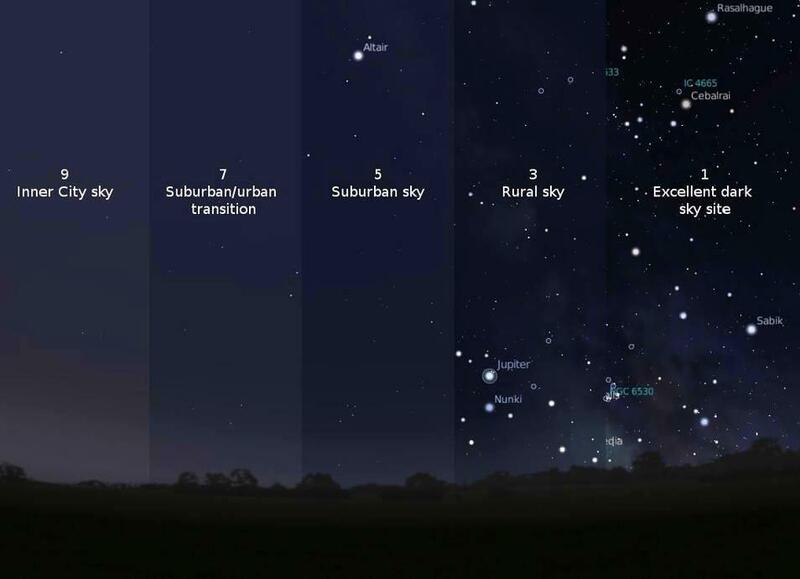 This figure illustrates how light pollution has an effect on your ability to see the night sky clearly. Tip #4: Even though it’s August, you can get quite chilly if you lie directly on the ground, so sit in a bean bag or patio chair. Tip #5: Meteor watching is definitely more fun with a group of friends than by yourself—make a competition to see who can spot the most! Tip #6: And while you’ll see meteors any direction you look, northwest and southeast are probably best. Here’s wishing you good luck and clear skies for your meteor watching adventure! 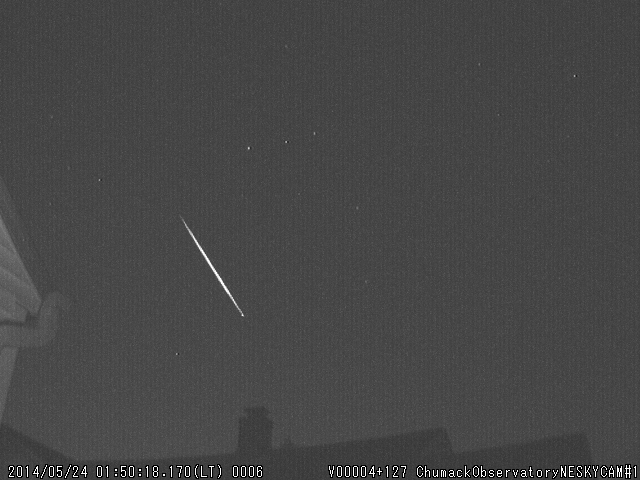 A single meteor shooting across the sky. To learn more about Astronomy at the Boonshoft Museum click here. Girl Power Includes Science, Technology, Engineering, and Math!